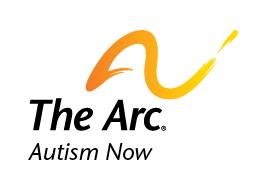 During National Autism Awareness Month, Autism NOW and The Arc offers the personal stories and perspectives of people with autism to generate discussion about autism awareness and acceptance. The two poems below were submitted by people with autism. We invite your comments here and on Facebook and Twitter using the hashtag #AutismAware. Ann Kagarise has autism and teaches children with autism. She works for IDEA House Educational Services in Uniontown, Ohio. I don’t hear all the words you say. I try, but I don’t hear all the directions. Sometimes, I forget what you say as soon as you say it. I look at others to see what they are doing. Not to cheat, but because I want to know what I’m supposed to do. I know you think I’m not paying attention, but I just don’t understand. I’m not lazy. I know I’m the only one not doing it right. In class, there is just too much going on for me to process. Get on my level and talk to me. You might have to tell me a couple times, but I’m listening. Speak slower, please. I hear you slower. Oh, and when you ask me to look you in the eyes, I understand you less. My senses are really sensitive. Autism doesn’t mean I’m less than. I’m creative and fun. I love to learn. I love to work. I promise to always give you my best…and I keep my promises. Autism means my brain is wired a little differently. I find creative ways to learn. I have to learn HOW to learn…if that makes sense. I’m trying to work with you. When I feel your frustration, I get more anxious. Let me know how proud you are of me. Focus on what I’m doing right. Oh, you can tell me what I’m doing wrong or what I’m not understanding, but remind me that I’m still a great kid. Doing it wrong doesn’t mean I’m bad. Misunderstanding doesn’t mean I wasn’t listening. I’m extra sensitive. I FEEL VERY deeply. I pick up your emotions and I want to please you. Do you know what it feels like when people are upset and you don’t understand why? You think you are doing everything they want you to do, but they tell you it’s wrong. I want to be my best for you and for my parents. Oh, and please stop arguing in the IEP meetings. My parents want what I need because they want me to be my best. I can’t always communicate what I need. Talking is very hard for me. They are my biggest advocates. Why would you not give me all I need to be my best? Don’t you want me to succeed? I just have Autism, but if you don’t give me the proper helps, then I am not able to be the person YOU say YOU want me to be. You talk about how I am not meeting the goals, but you are not always willing to give me what I need in order to be my best. When you talk, sometimes you make me feel like I’m bad. I might not hear every word, but I can read people well. Your messages speak volumes to me. Date posted: April 15, 2014. Content created by The Autism NOW Center. Last updated: April 15, 2014. Find similar blog posts posted in: Posts by People on the Spectrum. Find similar content about: Autism 101, Education, Self Advocacy. This was absolutely touching. Thank you for sharing this. I’m not autistic myself, but I know of people who are, and it breaks my heart when I hear about the treatment they go through. This has truly opened my eyes, not only as a teenager, but as a future teacher.